Signed by the Yankees as a non-drafted free agent on July 4, 2008. Appeared in 3 games for the Angels going 1-for-8 with a RBI...Played 115 games with Triple-A Salt Lake and hit .312/.409 OBP/.460 SLG with 21 doubles, 10 home runs and 71 RBI...Batted .345 with a 1.002 OPS in 61 games the Bees from Jun. 20-Aug. 30. Spent most of the season at Triple-A Scranton/Wilkes-Barre, where he batted .286 with 7 HR and 34 RBI in 73 games…Appeared in 12 games during three stints with the Yankees (5/30-6/10, 6/21-6/23 and 7/3-7/8)…Batted .219 (7-for-32, 0hr, 0rbi) with New York.....made 8 starts, all in left field…Made his Major League debut on 5/30 at Oakland, going 0-for-4…Notched his first Major League hit on 5/31 at Oakland with a single off Jesse Chavez…Was traded to Seattle, along with RHP Jose Ramirez, in exchange for OF Dustin Ackley on 7/30…Was assigned to Triple-A Tacoma following the trade and batted .423 (22-for-52) with 2 HR and 7 RBI in 14 games before his season ended due to a fractured right ankle.....suffered the injury on 8/14 vs. Sacramento while chasing a ball in the outfield. Saw his ﬁrst action with Triple-A Scranton/Wilkes-Barre, batting .247 (58-for-235) with 30R, 17 doubles, 4triples, 7HR and 23RBI in 63 games for the Rail Riders…had two multi-HR games (5/26 at Louisville and 8/24 at Rochester)…scored 4R in a game twice (4/13 vs. Syracuse and 5/26 vs. Louisville)... Missed nearly three months (6/2-8/22) on the disabled list with a left ankle sprain…in ﬁve combined rehab gameswith the GCL Yankees 1 and 2 to bat .353 (6-for-17) with 4R, 3 doubles, 2HR and 3RBI... Following the season, played for the Tigres de Aragua of the Venezuelan Winter League, batting .347 (68-for-196)with 36R, 8 doubles, 5HR and 29RBI in 56 games and making appearances at all three outﬁeld positions…ledthe VWL in on-base percentage (.435), ranked third in batting average and placed ﬁfth in runs scored. Spent the season with Double-A Trenton, batting .260 (139-for-534) with 79R, 25 doubles, 6 triples, 6HR, 55RBI and 77BB in 136 games… appeared in all three OF positions... Hit .241 (80-for-332) with 14 doubles, 4HR and 34RBI before the All-Star break and .292 (59-for-202) with 11 doubles, 4 triples, 2HR and 21RBI after the break... Over his final six games of the season (8/28-9/1), hit .480 (12-for-25) with 9R, 2 doubles, 2 triples, 5RBI and five multi-hit contests... Following the season, played in three games with Tigres de Aragua of the Venezuelan Winter League, going 0-for-6 with 1BB. Combined to bat .303 (158-for-522) with 85 R, 29 doubles, 7 HRs, 41 RBIs and 24 SB in 132 games with Single-A Tampa and Double-A Trenton...set career highs in hits, runs, doubles, games played and stolen bases...ranked third among all Yankees Minor Leaguers in stolen bases...Spent the majority of the season with Tampa, batting .302 (156-for-517) with 83 R, 29 doubles, 6 HRs and 39 RBIs in 131 games...ranked fourth in the Florida State League in batting average...Was promoted to Trenton on 9/3 and appeared in one game, going 2-for-5 with 2 R, 1 HR and 2 RBIs...Following the season, played for Aragua of the Venezuelan Fall League, batting .231 (3-for-13) with 2 R in eight games...Was added to the Yankees' 40-man roster on 11/20/12. Spent the entire season with Single-A Charleston and hit .265 (124-for-468) with 26 doubles, 11 HRs and 59 RBIs in 125 games...established career highs in home runs and RBIs...led the RiverDogs in hits, total bases (187) and walks (61)...Was one of four Charleston players to be selected to the SAL midseason All-Star team. Played at three different levels (GCL Yankees, Single-A Tampa and Single-A Charleston), combining to hit .303 (71-for-234) with 36 R, 13 doubles, 4 triples, 2 HRs and 26 RBIs in 65 games. Made his professional debut with the DSL Yankees 2 and the GCL Yankees, combining to bat .208 (41-for-197) with 5 doubles, 4 triples, 1 HR and 19 RBIs in 62 games...Began the season in the DSL, batting .256 (10-for-39) before being transferred to the GCL on 6/12...in 51 games with the GCL Yankees, batted .196 (31-for-158). July 4, 2018 Pawtucket Red Sox released LF Ramon Flores. April 4, 2018 LF Ramon Flores assigned to Pawtucket Red Sox. March 25, 2018 Arizona Diamondbacks traded OF Ramon Flores to Boston Red Sox. 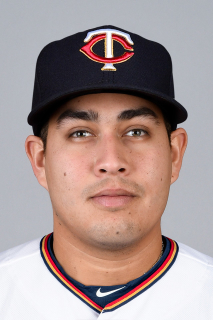 January 9, 2018 Arizona Diamondbacks signed free agent OF Ramon Flores to a minor league contract and invited him to spring training. November 26, 2017 RF Ramon Flores assigned to Tigres de Aragua. October 2, 2017 RF Ramon Flores elected free agency. August 7, 2017 Los Angeles Angels sent RF Ramon Flores outright to Salt Lake Bees. August 4, 2017 Los Angeles Angels designated LF Ramon Flores for assignment. August 1, 2017 Los Angeles Angels selected the contract of LF Ramon Flores from Salt Lake Bees. November 18, 2016 LF Ramon Flores assigned to Salt Lake Bees. November 17, 2016 Los Angeles Angels signed free agent LF Ramon Flores to a minor league contract and invited him to spring training. November 7, 2016 CF Ramon Flores elected free agency. October 4, 2016 OF Ramon Flores assigned to Tigres de Aragua. August 24, 2016 Milwaukee Brewers sent CF Ramon Flores outright to Colorado Springs Sky Sox. August 19, 2016 Milwaukee Brewers designated CF Ramon Flores for assignment. November 20, 2015 Seattle Mariners traded CF Ramon Flores to Milwaukee Brewers for 2B Luis Sardinas. October 5, 2015 Seattle Mariners recalled LF Ramon Flores from Tacoma Rainiers. September 23, 2015 Tacoma Rainiers activated LF Ramon Flores from the 7-day disabled list. August 16, 2015 Tacoma Rainiers placed LF Ramon Flores on the 7-day disabled list. July 30, 2015 Seattle Mariners optioned LF Ramon Flores to Tacoma Rainiers. July 8, 2015 New York Yankees optioned RF Ramon Flores to Scranton/Wilkes-Barre RailRiders. July 3, 2015 New York Yankees recalled Ramon Flores from Scranton/Wilkes-Barre RailRiders. June 23, 2015 New York Yankees optioned RF Ramon Flores to Scranton/Wilkes-Barre RailRiders. June 21, 2015 New York Yankees recalled Ramon Flores from Scranton/Wilkes-Barre RailRiders. June 10, 2015 New York Yankees optioned RF Ramon Flores to Scranton/Wilkes-Barre RailRiders. May 30, 2015 New York Yankees recalled Ramon Flores from Scranton/Wilkes-Barre RailRiders. March 29, 2015 New York Yankees optioned RF Ramon Flores to Scranton/Wilkes-Barre RailRiders. September 29, 2014 New York Yankees recalled Ramon Flores from Scranton/Wilkes-Barre RailRiders. August 22, 2014 Scranton/Wilkes-Barre RailRiders activated RF Ramon Flores from the 7-day disabled list. August 20, 2014 Scranton/Wilkes-Barre RailRiders sent LF Ramon Flores on a rehab assignment to GCL Yankees1. August 19, 2014 Scranton/Wilkes-Barre RailRiders sent LF Ramon Flores on a rehab assignment to GCL Yankees2. August 18, 2014 Scranton/Wilkes-Barre RailRiders sent LF Ramon Flores on a rehab assignment to GCL Yankees1. August 14, 2014 Scranton/Wilkes-Barre RailRiders sent OF Ramon Flores on a rehab assignment to GCL Yankees2. June 2, 2014 Scranton/Wilkes-Barre RailRiders placed RF Ramon Flores on the 7-day disabled list. March 18, 2014 New York Yankees optioned LF Ramon Flores to Scranton/Wilkes-Barre RailRiders. October 10, 2013 OF Ramon Flores assigned to Tigres de Aragua. September 30, 2013 New York Yankees recalled Ramon Flores from Trenton Thunder. March 11, 2013 New York Yankees optioned Ramon Flores to Trenton Thunder. March 11, 2013 Ramon Flores roster status changed by New York Yankees. November 20, 2012 New York Yankees selected the contract of Ramon Flores from Trenton Thunder. October 11, 2012 OF Ramon Flores assigned to Tigres de Aragua. September 3, 2012 Ramon Flores assigned to Trenton Thunder from Tampa Yankees. April 5, 2012 Ramon Flores assigned to Tampa Yankees from Charleston RiverDogs. April 4, 2012 OF Ramon Flores assigned to New York Yankees. August 22, 2010 Ramon Flores assigned to Charleston RiverDogs from GCL Yankees. July 14, 2010 Ramon Flores assigned to GCL Yankees from Tampa Yankees. July 4, 2010 Ramon Flores assigned to Tampa Yankees from GCL Yankees. May 24, 2010 Ramon Flores assigned to GCL Yankees from Tampa Yankees. May 20, 2010 Ramon Flores assigned to Tampa Yankees from GCL Yankees. June 23, 2009 Ramon Flores assigned to GCL Yankees from DSL Yankees2. May 30, 2009 DSL Yankees2 signed Ramon Flores.